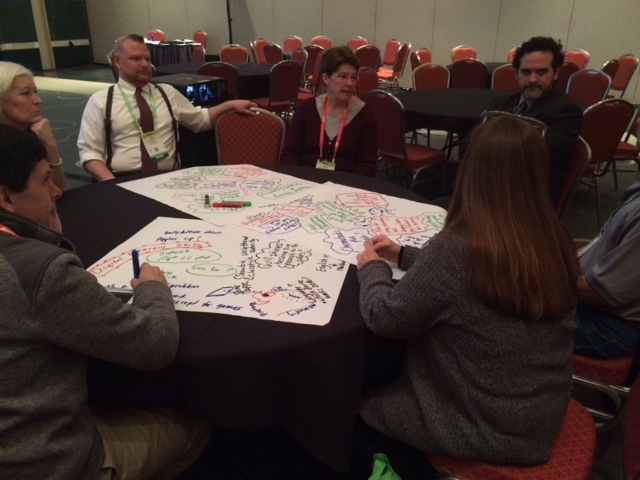 The Inaugural NAISAC Interactive Maker Space- Fun For All! I have now been working in partnership with NAIS since 2008 and have worked on a variety of interesting projects. This year, working with Amy Ahart from NAIS, we wanted to try something new and landed on the idea of creating an Interactive MakerSpace. With a nice space carved out on the exhibit hall floor next to the NAIS Bookstore, we were able to design a space that would foster interactions between participants and docents in the area as well as with many of the items in the space. These items included sample student projects from The Meadowbrook School of Weston, MA, 3D printing, Laser cutting projects, robotics, computer programming, electronic prototyping, micro-controllers such as Arduino and Makey Makey as well as projects made onsite. Additionally participants were able to explore posters made from the information schools submitted for the Online Gallery of Independent School Makerspaces. Space and time limited the number of posters to the first 10 that were submitted. However, there are over 25 amazing schools currently listed in the online gallery and more will be added shortly. Additionally, schools are still able to submit their information to be added to the gallery. The objective of the space was to create an engaging and interactive space that would provide information for participants who want to explore how this new movement might fit within their school. We wanted a space that would demonstrate many different aspects of “making” while helping participants focus on the importance of pedagogical considerations. Lisa Palmieri of The Ellis School produced a wonderful poster on the Maker Mindset. This poster was placed centrally in the space and received a lot of attention and generated important conversations. Additionally, all the posters around the space were well photographed and many read in detail. 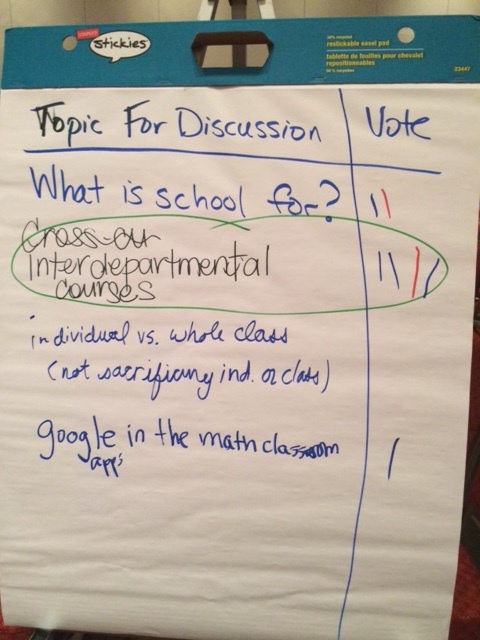 There appeared to be considerable interest in what other schools were doing in the area of Making and MakerSpaces. Working from Dallas, one challenge of putting together a MakerSpace at a conference over 1500 miles away is how to equip and staff the area. This is where The Meadowbrook School of Weston was invaluable. Jonathan Schmid from Meadowbrook offered up an amazing collection of equipment and student projects which helped bring the space to life. Additionally, many of his staff came to the conference and worked the space as docents. Without the incredible help of Jonathan Schmid, Chris Lindsay, Matt Molyneux, Nathan Tanaka, and Rachel Shuler, (All from Meadowbrook) this project would not have been possible. Many thanks to these incredible people for their help on this project. As participants were exploring the space, there was one question that seemed to keep coming up: How do we get started? While there is much to consider as you start to explore this new learning space and approach, there is some help out there in the form of the MakerSpace Playbook- School Edition. You can download a free PDF of this resource posted on Makered.org. 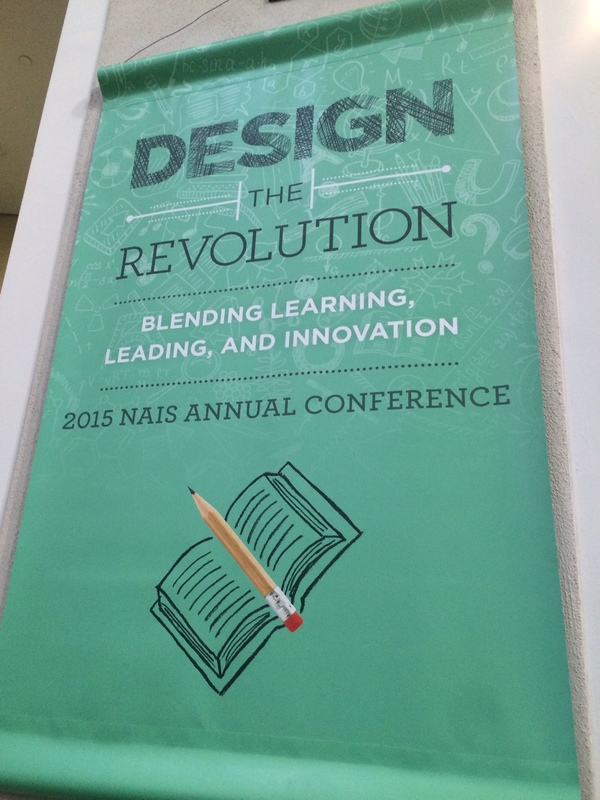 Below are some images and videos of the NAIS Interactive MakerSpace captured throughout the conference. Here I am demonstrating the Makey Makey Piano that was made on site. Sarah Flowers who is the Head of Ring Mountain Day School plays the Makey Makey piano and throws out the challenge for other heads of schools: Can you top this? We do all of this for our students. Here the Makey Makey piano gets the “Kids Seal of Approval”. Participants playing the Makey Makey Human Drumset. Proves to be fun for all ages. The suitcase electronci prototyping materials that I am sure got an extra look by airport security. An early configuration of the space. Then a major shift as new constraints entered our world. Since I take public notes on twitter, my top takeaways will be my tweets or retweets of others. 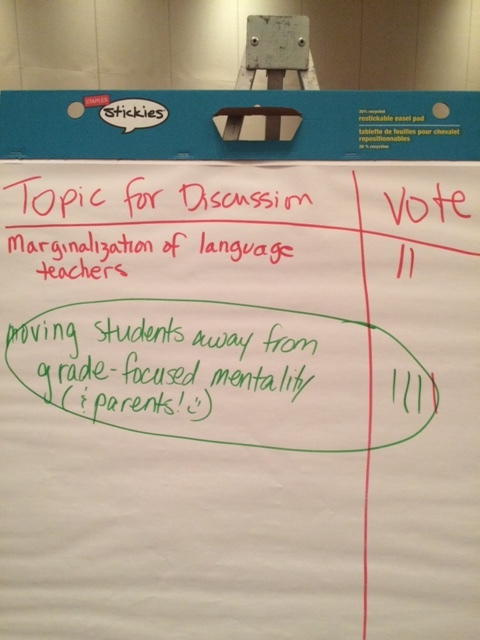 These are the things that will hopefully stick with me long after NAISAC 2015. 75% of college provosts believe their graduates are prepared for workplace… only 11% of employers do. 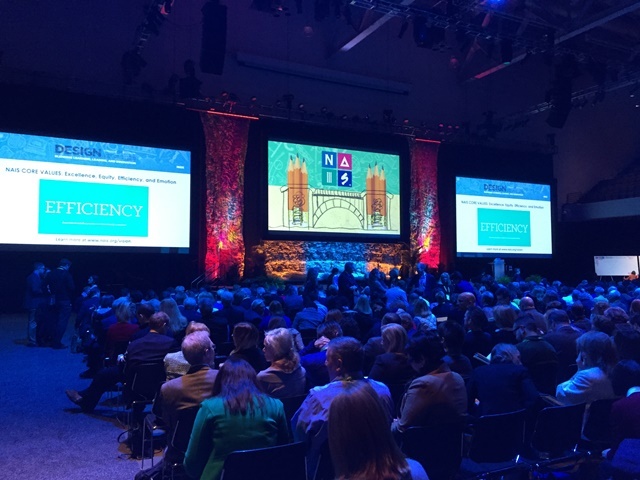 #naisac Wow. Here is my Storify of all my tweets from the conference. Thanks to those administrators who came to Admin Unplugged and had honest and real conversations in our quest to make our schools a better place for our students. You are the forward thinking, approachable leaders who will surely be instrumental in designing the revolution! 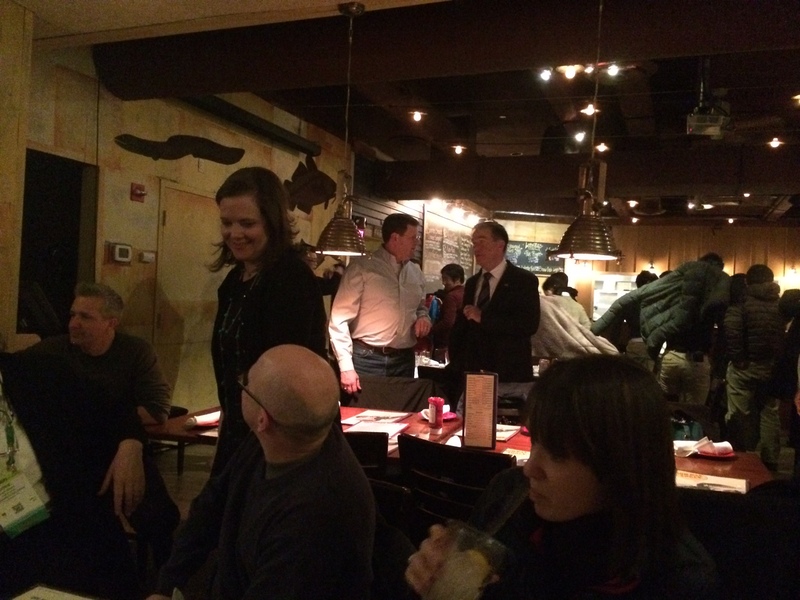 Thanks also to all the #isedchat folks who came to Summer Shack! Loved connecting. ways to be an active participant in sessions, instead of being a passive receiver of information. a live twitter stream during speakers so participant’s questions can be answered. The conference has come to an end but the conversations are just getting started. There was so much that was shared at this year’s conference. Everywhere you turned, there was something to learn. 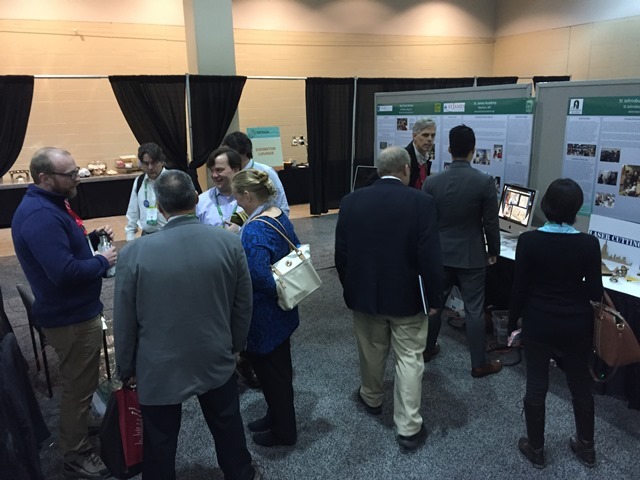 Opportunities to learn included the keynote and featured speakers, three- hour and one- hour workshops, NAIS MakerSpace, Online Gallery of Independent School MakerSpaces, exhibit hall floor, Twitter #NAISAC, and for all of us, the many hallway and restaurant conversations we had with other independent school educators representing all elements of independent school education. The challenge now for each of us is to see what this all means for us as individuals, as educators and what we will do to take our schools to the next level in this dynamic time of change in education. #ISEDCHAT @ #NAISAC: Nothing like Being Face to Face! 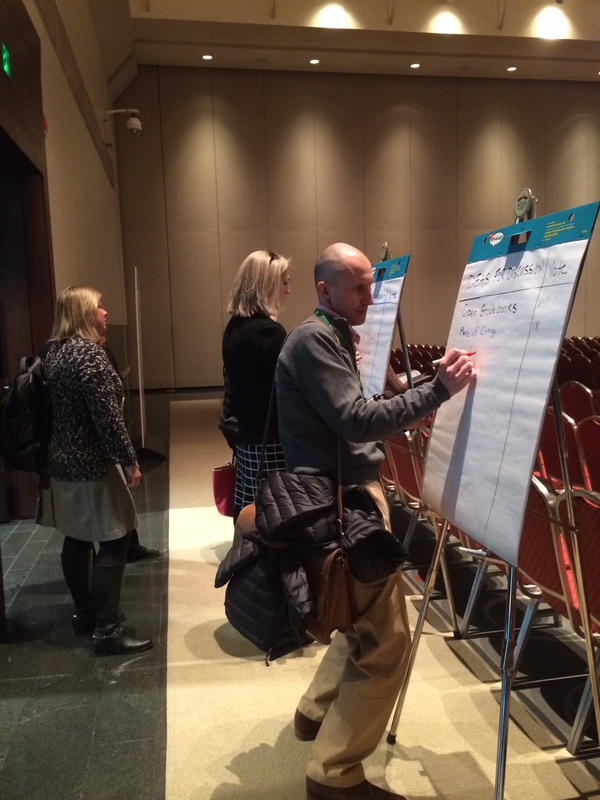 #NAISAC 2015: “Why Should More Parents Value Your School?